The rooms are spacious, decorated with bright colors and have a private shower and toilet room. We have: three two-bed rooms and one six-person familyroom. 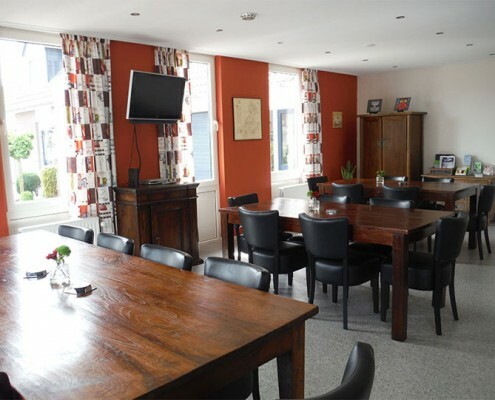 De Kandelaar also offers the opportunity to hold meetings or lectures. You can have discussions in peace and during the break you can enjoy the view on the terrace.. There is also the opportunity to take a tour on our company. Depending on the size of the group and the number of questions a tour takes about 1.5 hours. 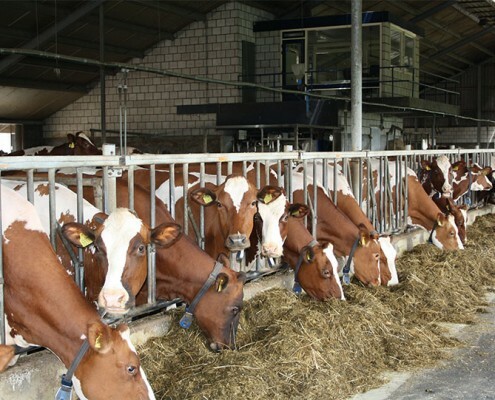 More than 110 dairy cows and 90 calves are held on the farm. These are milked with a VMS milking robot. Of course there are several other farm animals. The farm size is 90 acres. In addition to the growing of maize and grass for the cows, there are also potatoes, sugar beet and onion grown. Every spring several acres of tulips are blooming. 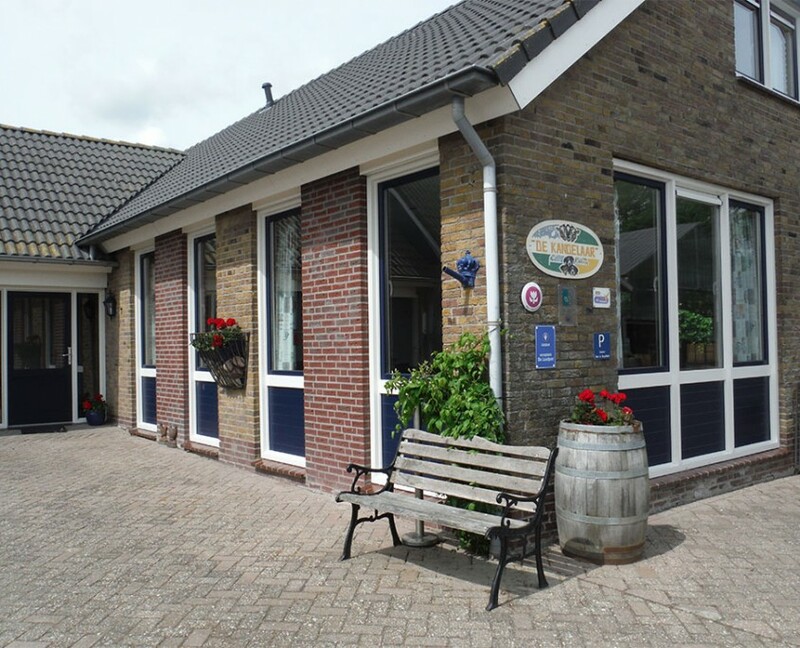 De Kandelaar is rates as a Bed & Breakfast with four tulips. Which means that we offer an excellent quality. And we´re proud of that! Watch the video for the full offering of our unique Bed & Breakfast.